The Harper “fire” and Collins “water” colophons, which were combined to create today’s “fire and water” HarperCollins logo. 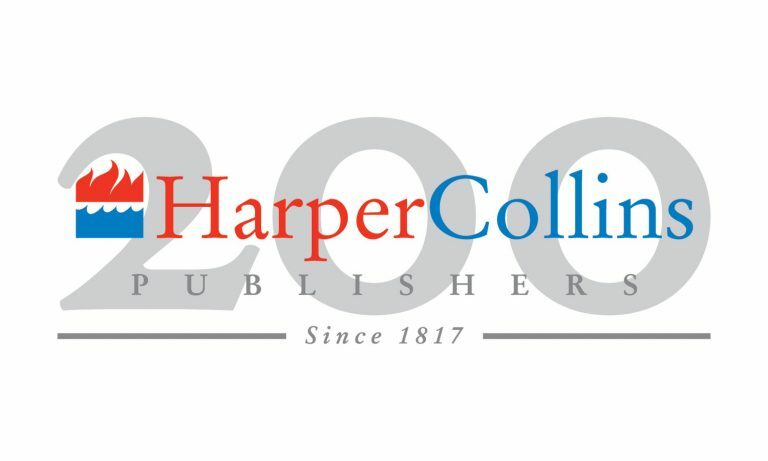 The HarperCollins logo represents the 1990 consolidation of Harper & Row, based in New York, and Collins Publishers, based in London and Glasgow. The logo is an abstraction of the elements of two famous publishing colophons: the Harper torch and the Collins fountain. Harper was started by two young printers, brothers John and James Harper. The Harper name first appeared on a title page in 1817, and by 1833 the printing firm of J. & J. Harper had become the publishing house of Harper & Brothers. The torch, symbolizing the sharing of knowledge, became the house colophon in 1845. 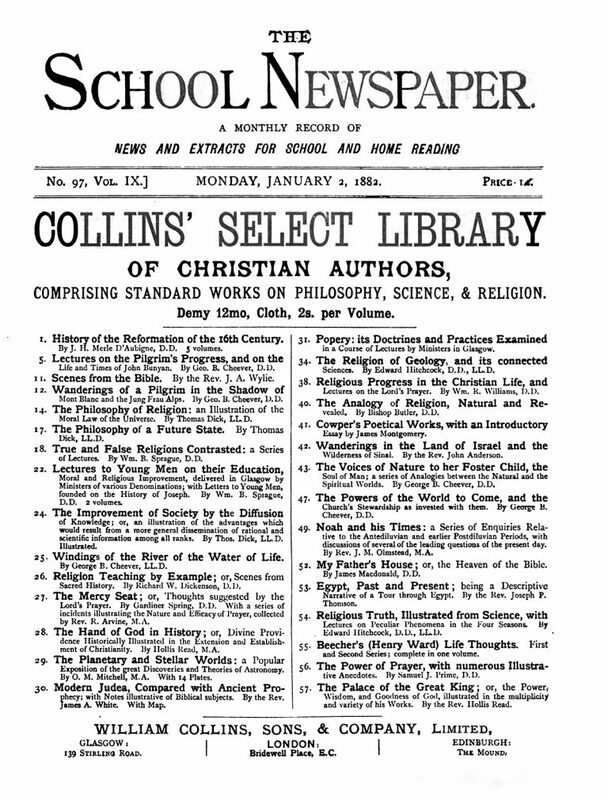 Collins was started in 1819 by William Collins, a young Glasgow printer who began by publishing religious and educational books. 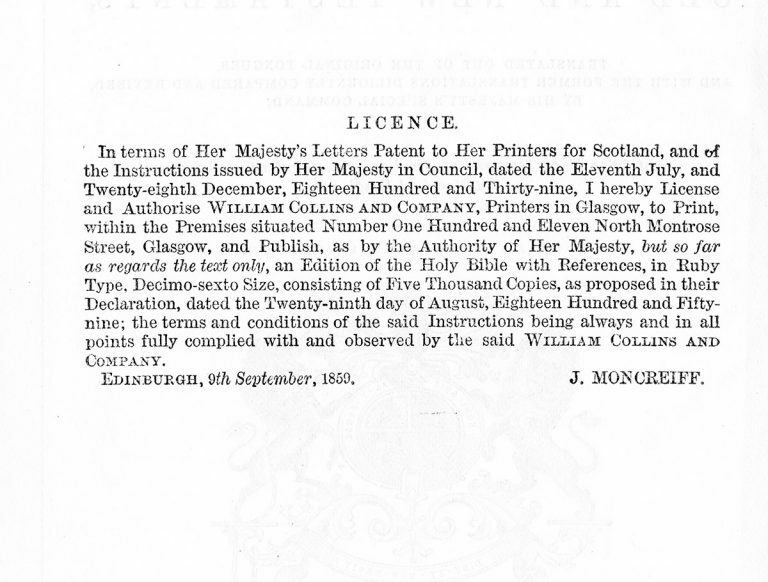 By the time of his death in 1853, Collins had built a prosperous printing, stationery, and publishing business, with offices in Glasgow and London. The publishing house had many different colophons over the years, but in 1936 it acquired its most iconic mark: the fountain, which provided the water element of the final HarperCollins logo. The fire and water symbol is HarperCollins’s primary identifier and trademark. The two elements assembled represent HarperCollins’s longstanding tradition in the publishing industry.